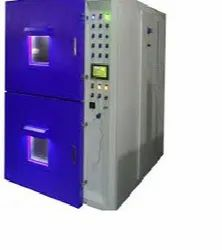 Our range of products include fatigue testing machine for concrete beam, carbonation chamber, strain analysis on concrete,metal etc and stress relaxation testing machine for wires. With rich industry experience, we hold immense expertise in manufacturing, supplying and exporting a wide range of Strain measurement software. These measurements consists of stainless steel beam fixed at one end and other end is free to load. Our offered range is available in various dimensions, power supply and resolutions and can be customized according to the requirements of the customers. 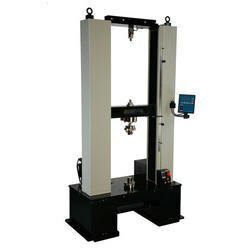 Strain measurements are widely acclaimed by the customers for the features like optimum performance, high tensile strength and dimensional accuracy. We offer these strain measurements at market leading prices to our valued customers. Being a quality driven firm, we source the raw material from the certified vendors only who assure us for the quality and reliability of the material. As we have marked a distinct name in the market, we are recognized as the trusted organization for supplying quality Servo Control Universal Testing Machine. 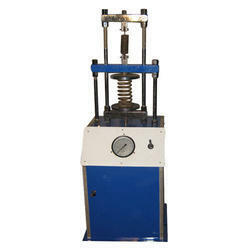 Straining roll autographic recorder supplied as standard to enable study at the behaviour of materials. Motor driven threaded columns for quick effortless adiustment of lower Crossthead to facilitate rapid fixing of test specimen. Wide range at standard and special accessories, induding load stabilizer. Robust straining frame at an extremely rigid construction.